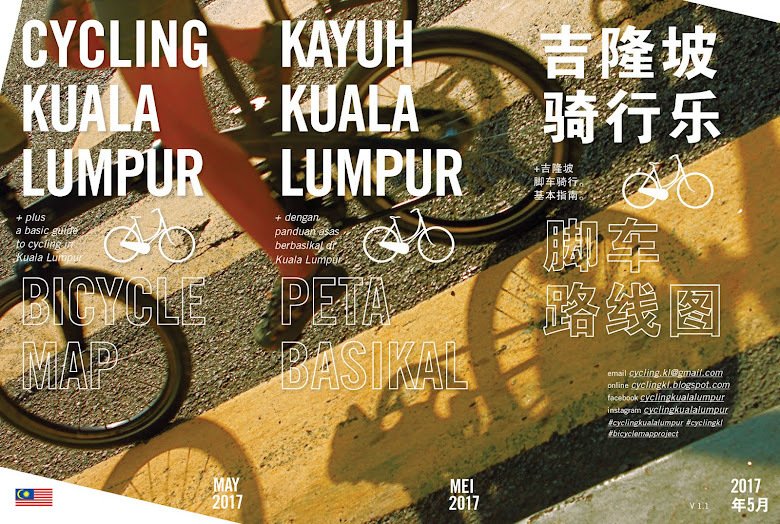 The Bicycle Map Project is an independent initiative, highlighting a bicycle route map for KL city. Compiled and ridden by local cycling & commuting volunteers. This map hopes to act as a guide and journey planner for cyclists. Apart from looking into safety and connectivity, it hopes to open up Kuala Lumpur into becoming a cycle-able city for everyone. 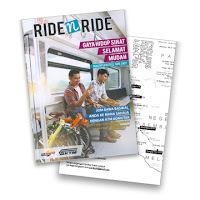 There will be 4 print runs, the first print was in September 2014 where 10,000 maps were printed and distributed in Greater Kuala Lumpur, along the peninsular and the region. The second print run was in May 2017 where 5,000 maps were printed and currently distributed through primary sponsors’ locations only. This updated map version 1.1 will be distributed openly by end October 2017. These maps are free. Check the previous distribution locations (first release, new locations will be updated in November 2017). The second print-run is published alongside an art exhibition “Ilham Contemporary Forum” running from March till October 2017. Ilham Gallery is the primary sponsor, and Marin Bikes Malaysia as our secondary sponsor. Studio 25 volunteering studio time with Village Bicycle Workshop. This map is published as a guide for cyclists and is not an accurate road representation. All cycle routes have been surveyed and ridden by cyclists. Choose a suitable route based on your cycling confidence. Currently there are limited cycling facilities in the city, traffic volumes will vary from different time of day. The representatives of this project takes no responsibility for the users’ safety and does not warrant the fitness of the suggested routes. Cycle at your own risk. Ride Safe and Happy Cycling!